We offer quickly to market, Art to Part services that will take your project from an idea to a product in the hands of your customer. 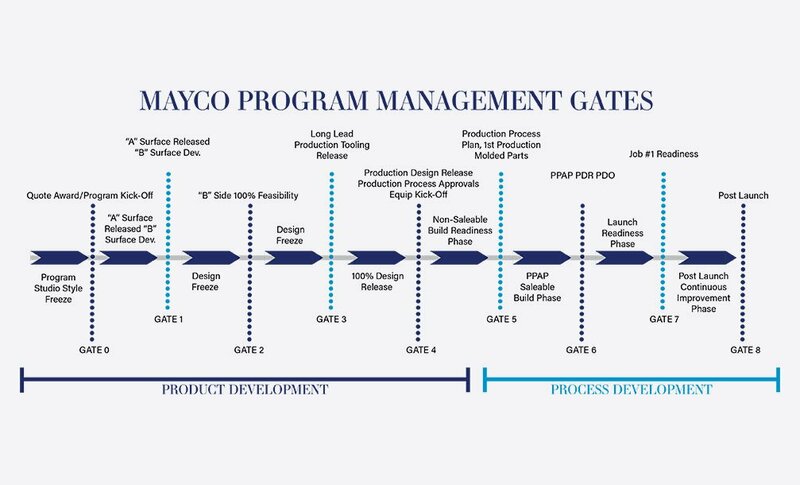 In our Art to Part approach to design and manufacturing, Mayco International begins each and every project by engaging every department of our enterprise so that our customer’s end product surpasses expectations. Bring us your sophisticated design or just an idea on your drawing board and our entire company will ramp up to ensure that you have your final production pieces in the quantities required, at the right time and for the right price. Our talented pool of 115 designers and engineers work both here in the States and abroad. 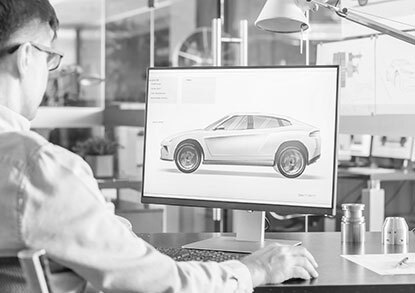 We offer the advantage of 24 hour service to guarantee that your ideas or designs can swiftly be brought to life in a prototype that can be examined, tested and reworked to move the project along to the manufacturing stage. 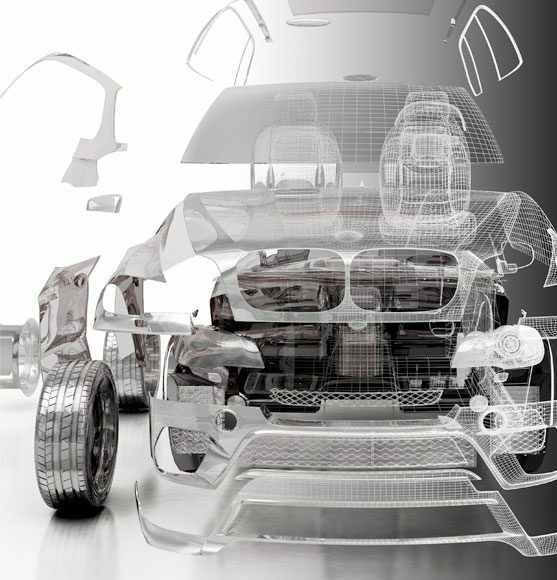 Our engineering, design and validation team immediately engages experts from tooling, molding, procurment, packaging and logistics. Our collaborative approach brings precise departmental know-how to the development stage of every job. 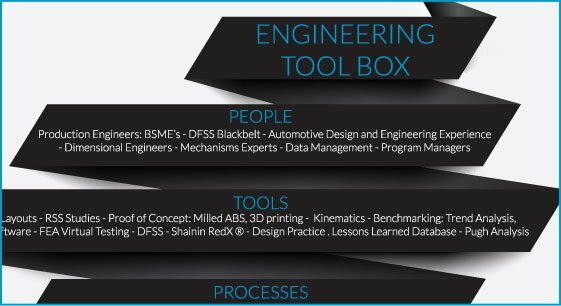 Our engineering, design and validation team immediately engages experts from tooling, molding, procurement, packaging and logistics. Ensuring that the desired end-product remains the driving force of our efforts. This method allows Mayco to anticipate and trouble- shoot problems before a tool is made or a part is produced. Additionally, our collaborations lead to the development of cost-cutting ideas and continuous improvements that will add value as the transformation from Art to Part is realized. Our state of the art equipment, tools and software assist our workforce in creating prototypes that can be tested, improved upon and prototypes retested as required before a tool is built or a production piece is manufactured. We combine a half century of proven experience with new ideas to manufacture the light-weight, environmentally conscious products demanded for the 21st century. The right part at the right time in the desired quantities for the lowest price – Mayco International delivers Art to Part and anywhere in between! 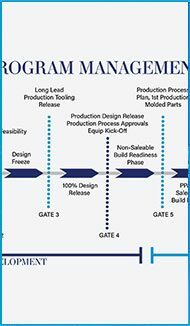 Our program management processes have been developed to add flexibility while maintaining control throughout the product lifecycle. 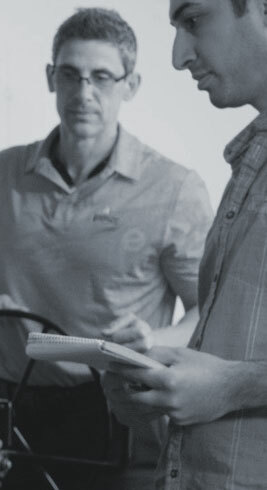 Our history and experience demonstrate the success of our risk-based processes to achieve the highest level of control and quality in dynamic team environments. Program risks are managed and mitigated at each stage of the project; using risk-management practices; such as Failure Mode and Effects Analysis (FMEA). Risk management is performed by the Mayco Group by developing a risk-management process best suited for each program. Risks are assessed and managed on a consistent basis to address changes stemming from environmental, technical, and organizational constraints across the program. We have developed tools and templates that can be used for communications, monitoring, and controlling the program. 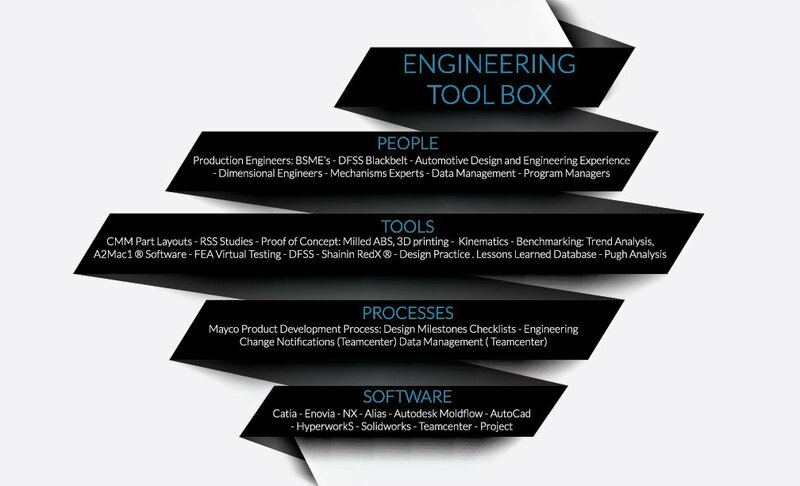 The Mayco Group brings mature tools and templates that have been developed, adopted, and successfully used in practice. Our people use tools providing the appropriate level of control, while maintaining flexibility to add value to projects of all sizes and complexities. Contact us for more information on how your next project can be transformed from Art to Part.